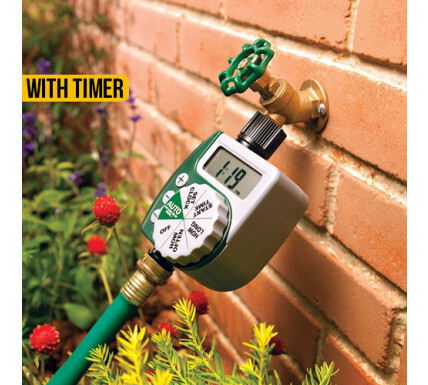 The Single Outlet Watering Timer will turn your hose faucet into a programmed sprinkler system in minutes. No more dead plants because you forgot to water them. No more soggy lawns because you forgot to turn the water off. Just set the timer and go! The Auto Water Irrigation Timer has a large & easy to read screen.